With one match of Persian Gulf Pro League week 4 – FC Mashhad v Foolad Khuzestan – not played yet, FFIRI-Football Federation of Iran official website published the list of call-ups for the training camp in Italy. 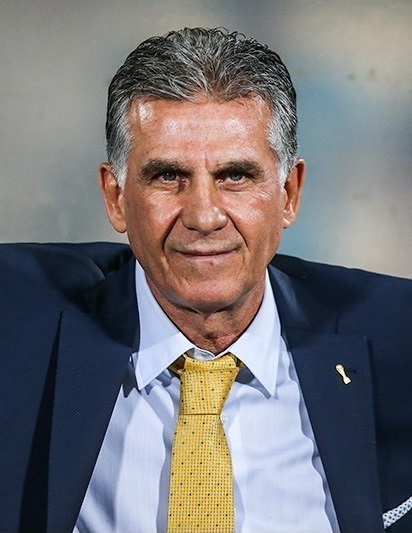 Carlos Queiroz, head coach of National football team of Iran, invited 25 players that will reach Italy on 13 August. The plan of the Italian camp with the friendly games is avalaible on this website (click here for details). At the current time, the Portuguese coach chose to call only footballers that play in Iran or in Qatar, since the Qatar Stars League will start on 15 September. Most probably the Legionnaires (Iranian players in European professional leagues) will be added before the qualifiers against Qatar and China. Team Melli captain Andranik Teymourian is back after 5 months since he had a bad injury. Below you can read the full list.